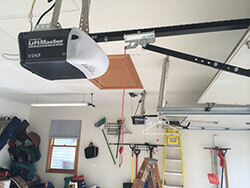 Blog | Why do I need to replace my garage door opener? Why do I need to replace my garage door opener? Openers for garage doors are devices that are highly durable. But sometimes they get damaged either due to prolonged use or as a result of a malfunction. But you don’t need to wait until it is completely damaged before replacing it. There are reasons why a replacement is necessary even if the garage door opener is still working. Below are some of the reasons why installing a new opener for your garage door is very essential. Most openers with fixed codes are vulnerable to thieves. The code can be easily known, giving them access to your garage. But new openers have rolling codes that change anytime it is being used. Only you who have the opener remote control can be able to open the door. This is an added security feature that is very important to include in garage doors. So, if you have an opener with a fixed code, a replacement with a rolling code will be necessary to tighten security. If the opening device makes so much noise while the door is opening or closing, this is enough reason to consider a replacement opener. Most doors with a chain drive close to the motor unit are usually very noisy. If the opening device has a chain drive, consider replacing it with a belt drive or a screw drive opener. The safety reversal feature in garage doors can prevent one from getting stuck while closing the door. This is necessary if you have pets or kids around. There is a light beam attached a few inches above the floor level. When your pet or child runs through as the door is closing, it automatically stops and reverses. If your opener don’t have this feature, a replacement is necessary to include this extra safety feature. The above are some of the reasons why a garage door opener replacement is necessary, even if yours is still working.